We had just finished blogging about Mohsin Charania doubling up twice when Mohsin was again all in. This time, Mohsin had the best of it with his [As][Kh] against his opponent's [Ah][7d]. 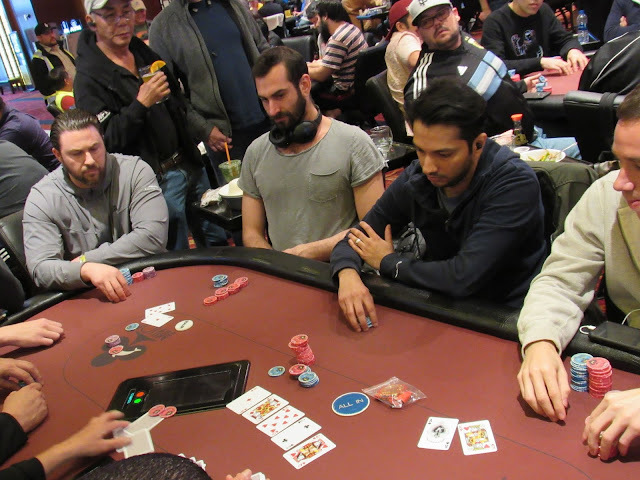 The [Ad][Jd][8h] flop kept Mohsin's king kicker in the lead, and that did not change through the [2c] river and [Qh] river. For a third time, Mohsin has doubled up, this time to 242,000.